In keeping with their mission to minister to others, the Sisters of Charity of Saint Mary have reached out to many countries over the years. The story of the Sisters of Charity of Saint Mary began in Italy, when Sister Marie Clarac, acting on the counsel of Saint John Bosco, started her work by establishing a nursery school, a school and workshops and a pastoral program for youth. Her perseverance, humility and patience eventually led to the creation of the Congregation of the Sisters of Charity of Saint Mary to administer these initiatives. 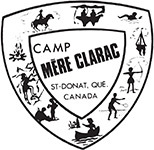 In 1949, 10 religious sisters from Italy arrived in Quebec to bring the work of Mother Marie Clarac to Canada. This was just the beginning, and the Congregation subsequently spread to several other countries, including Mexico, the United States, Chile, Ecuador, Peru and Colombia. Today, the Sisters of Charity of Saint Mary continue to provide support, educate the younger generation, care for the sick and help those in need.